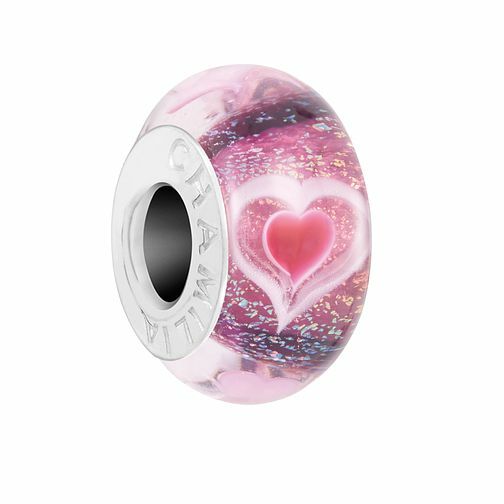 Beautifully crafted from Murano and Dichroic glass, this Chamilia will steal your heart. Whether you're treating yourself or looking for a present for a loved one, this chic charm is sure to add a sentimental splash of colour to your Chamilia charm bracelet. Chamilia Heartbeats Murano Charm is rated 5.0 out of 5 by 1.